Emotionally stirring, handsomely drawn and beautifully voiced, The Lion King is a staggering achievement in storytelling and scope and stands as one of my favourite movies. In the wild plains of Africa, a young lion cub is born to the King Mufasa and given the name Simba. One day, young Simba will rule over the animal kingdom. The birth of Simba begins to stir jealous emotions within Mufasa’s brother Scar, who has always wanted to be king but is now knocked down a place. The wise Mufasa teaches Simba about life and its many dangers, but the young cub is very rebellious and prone to trouble with his best friend Nala. Meanwhile, Scar has created a plan that will plant him on the throne. He puts this in motion by having his loyal hyena minions to create a stampede that will endanger Simba. Mufasa comes to his son’s rescue, but is killed by the evil Scar. The conniving and power-hungry Scar then makes Simba believe that he was responsible for his father’s death, causing him to flee into the wild. Scar then ceases power as ruler, while Simba runs away in exile. In the wild, Simba makes friends with double act meerkat Timon and warthog Pumbaa. The two animals take Simba under their wing and raise him. Simba learns of a carefree life with the help of Timon and Pumbaa and grows up into an adult lion. But then he comes across Nala, who has grown up and searching for help. 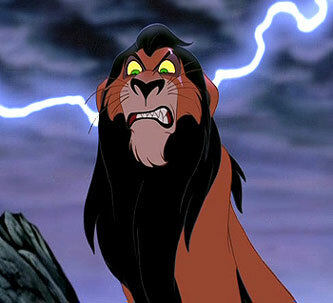 Scar has started a rule of tyranny that has left the entire kingdom in danger. 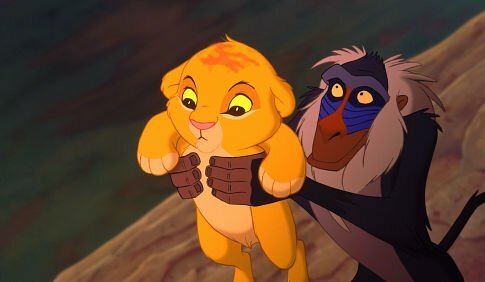 At first Simba is reluctant to return, but slowly he begins to see, through the guidance of Nala and shaman Rafiki that he is meant to be king and rightfully take his place as ruler by overthrowing cruel Scar. From the very first frame of The Lion King, you know you’re in for an amazing experience. The animation is lively, stunning and vibrant as is to be expected of Disney. From the opening in which the animals rejoice at the birth of Simba to Simba’s vision of his father that causes him to return, the beauty and clarity of The Lion King is hard to match. 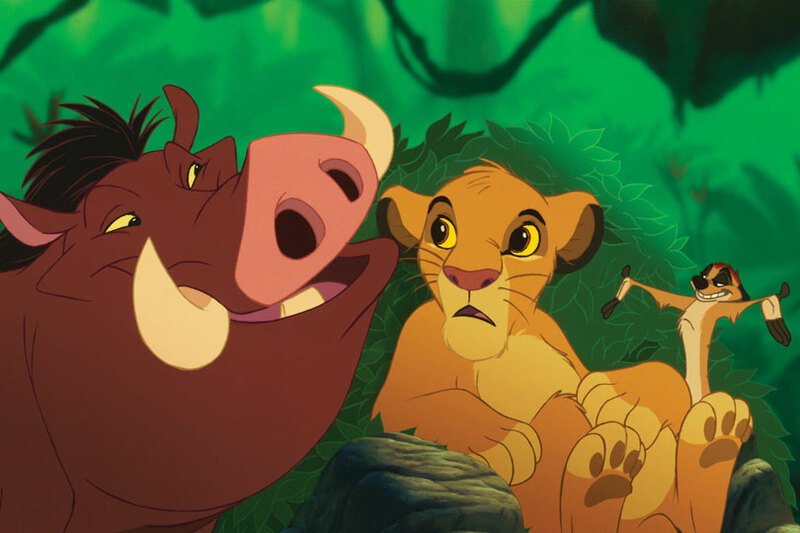 The songs throughout this film are a real treat, in particular Timon and Pumbaa’s paean to forgetting cares in ‘Hakuna Matata’, the stunning opening number ‘Circle of Life’ and the romantic ‘Can You Feel the Love Tonight’ in which we see the blossoming love shared between Simba and Nala. This is truly an inspired musical score that resonates with everyone in some way. I love how The Lion King can be enjoyed by everyone, and also contain many lessons for life. 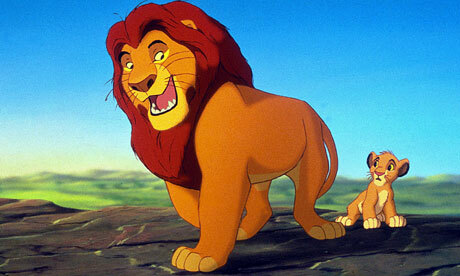 Chief among these is finding one’s place in the world, which Simba goes through after the death of his father. There’s something of a coming of age tale within The Lion King that is perfectly balanced with emotions, laughs and music. I can’t wax lyrical enough about how well-constructed this movie is and how it can speak to all of us in different capacities and on many levels. The characters are so memorable and well thought out, with even the smallest role being full of presence. Special mention must go to the mandrill Rafiki, who watches Simba’s journey and provides a lot of insight into accepting oneself. A consummate collection of voices add loving depth and strength to the characters. Matthew Broderick excellently voices Simba as an adult, having to find his place in the world and reclaim his birthright. The distinctive voice of Jeremy Irons fits the jealous and deeply evil Scar like a glove, with every condescending comment and angry growl well suited to the villainous part. Reverberating with paternal strength and wisdom, James Earl Jones provides the voice for the great king Mufasa, who teaches Simba the circle of life and how he is a big part of it. Jonathan Taylor Thomas has that youthful exuberance and energy that is just right for the part of Young Simba, while Moira Kelly’s sagacious voice provides quiet power as Nala. Nathan Lane and Ernie Sabella provides barrels of laughter as Timon and Pumbaa, with their quick comic timing and playing off one another. Whoopi Goldberg and Cheech Marin voice two of Scar’s loyal hyenas, who also provide humorous escapades. Rounding out the voices is Rowan Atkinson as Zazu, the hornbill and loyal subject of Mufasa. I guess all I really have left to say about The Lion King is that it’s stunningly rendered and all-encompassing in its power and impact.